Having spent many years collectively in marketing roles and working with Sales (our favorite department! ), we have compiled a list of key considerations that will help drive a healthy lead funnel for your organization. Time for a [lead] gut check! 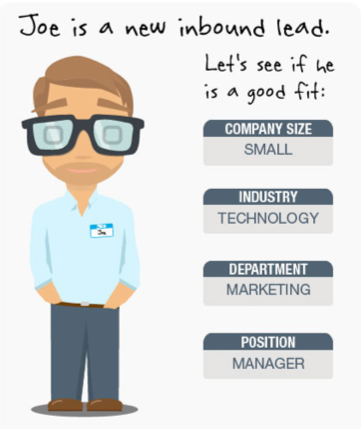 Knowing who your ideal leads are is an important step to crafting your message and establishing key data points to collect and analyze against your marketing programs. Demographic information – are you able to track key information like a lead’s geographic location, title, address, phone number, industry? Behavioral information – can you tell who opened, clicked or filled out a form? Do you know who visited your website? Do you have tools in place that can collect all this information? Can this combined information be shared with others in your organization? By knowing the makeup, the “guts” of your leads (and especially those that produce higher conversions), you can validate or even tweak who you thought were your ideal candidates. But don’t make these decisions in a vacuum; make sure to get consensus from key departments who will influence and be influenced by this data. Is our definition of a lead the same? Are we collecting the right information? Are we measuring the same KPIs? Have we established the right handoff at the right time? Establishing parameters, definitions and expectations between Marketing and Sales will make all the difference in managing not only accountability but also making refinements to your programs – and ultimately celebrating successes together. 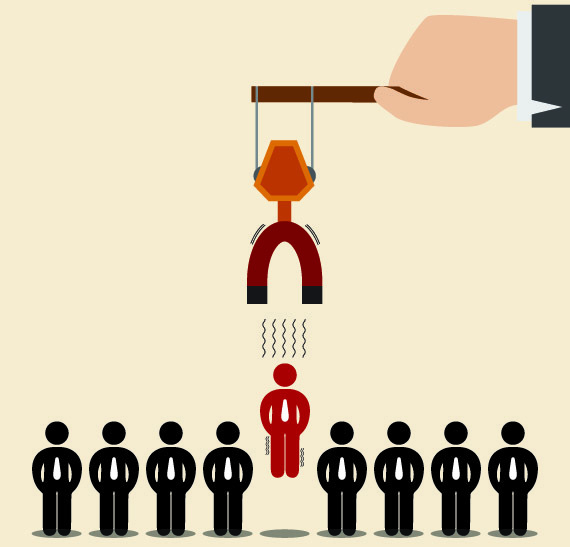 Do your Marketing and Sales teams know where good leads come from? 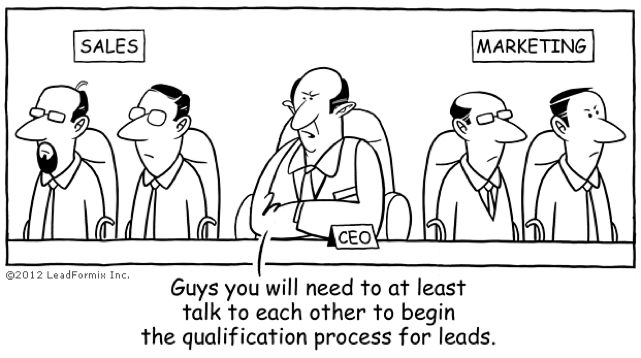 Do they know where bad leads come from? Knowing where your leads come from and better yet, knowing how your good leads convert, will help your organization focus on what’s working. Did you know that only 27.6 percent of marketers chose their attribution model because it gives credit where it’s due1? The majority of marketers chose a model because it was the easiest or they didn’t know why they chose it. Does your organization track all of its marketing channels like social media, email campaigns, retargeting, PPC, website, organic search, live calls, etc.? 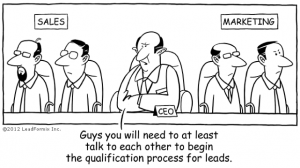 Are you able to track each lead from each source through the marketing qualification and sales qualification process? Is Marketing scoring these leads properly? Is Sales converting these leads properly? Can you attribute opportunities and conversions to your marketing channels? Making sure you have a system in place to track and collect data will ensure that you can put an end to programs that don’t work, refine those that show promise and repeat the ones that deliver high conversion rates and closed deals. 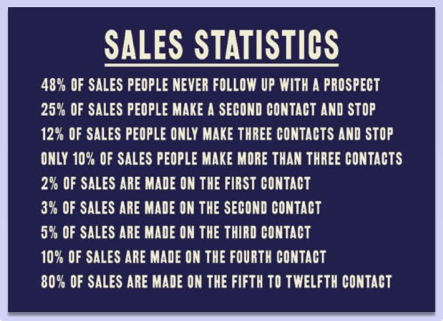 You can put all the hard work into delivering marketing-qualified leads over to sales, hoping for high conversion to opportunities and ultimately sales. But if you don’t establish a solid follow-up process with your Sales team, your leads are as good as dead. Identify an executive sponsor for each department – buy-in and support from these key leaders is crucial to keep all teams focused on a shared goal. Share the vision and communicate the campaign cadence – share all of the components of your program along with key dates. Share and make sure the teams have time to review what their clients and prospects will be receiving. Set follow-up expectations – make sure sales knows the follow-up procedures and knows key talking points for meaningful conversations. Track data and log tasks – tracking sales follow-up will provide important data points when analyzing the program as a whole. At the end of the day, executives want to know the return on investment of their organization’s initiatives, marketing being no exception. By taking the time to define and develop the considerations above, it will be much easier to demonstrate marketing’s effectiveness over time. 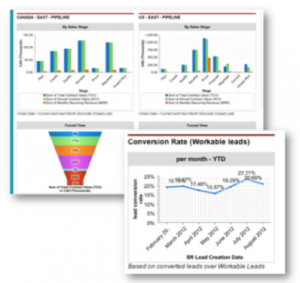 These are just some of the key metrics and marketing dashboards to evaluate. As mentioned above, don’t define these key data points in a vacuum; get consensus from key stakeholders to make sure everyone is working from the same definitions and expectations. GrowthMode Marketing is a full service B2B marketing agency fixated on helping companies optimize business growth with impactful marketing strategies focused on achieving results. Contact us today to learn how we can help you fuel your lead generation engine.